Steve Jobs agreed to Alan Kay’s saying “People who are really serious about software should make their own hardware.”. Now it’s time to swear developers to quality. Every year users run into new features causing a new set of problems, which in some cases we were already faced with in earlier versions. Here are just a few examples which verify that this saying is also valid for iOS. There are 18k different Android based devices (which is a nightmare for OS developers) but only a few iOS devices. So there is no good reason for severe issues on Appple’s mobile devices after seeding lots of betas. Let me start with the most annoying bug (for me) because I live in Thailand, a country where you usually won’t see street names or house numbers. 10 Users are still stay in the dark about features supporting 3D TOUCH even in Apple’s built-in applications. Sometimes it works sometimes not and Apple should forbid ad in 3D Touch menus. 18 A too strong focus on SIRI is not welcome. Do you like to sit in a bus or restaurant and bear 50 people talking to their smartphones? 19 AI includes successful understanding of human SPEECH. This is only the case for simple sentences (and a fast online connection). Believe me, we won’t see smartphones as reliable translators in the near future. 20 For me it’s ridiculous to ask Siri wether there is enough milk left in my refrigerator. HOME KIT is a feature that Apple wants us to go for. … and yes, I also have battery issues. In my humble opinion Apple shouldn’t be so proud about more than 2m available apps in the App Store. There are far too many apps which might fulfill Apple’s guidelines but are of horrible quality even if users have to pay for them. In addition to this their guidelines should be revised in that developers should be bound to a more standardized UI. This is a really big challenge for Apple’s quality control department. It’s an inevitable step to stop the uncontrolled growth. Apple is the world’s #1 in making profits so it should be a good move to extend the software quality control massively. 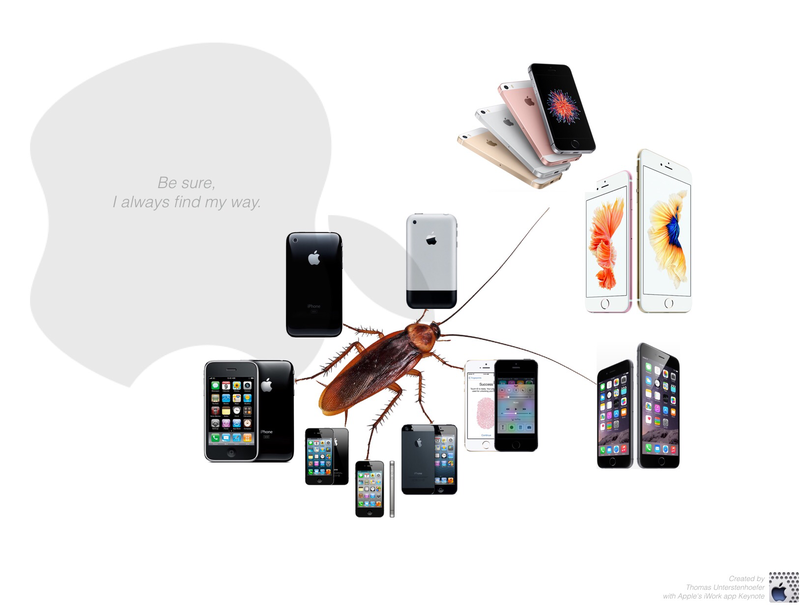 What did Steve Jobs tell us? You‘ve got to start with the customer experience and work back toward the technology – not the other way around. My device was checked by the Apple Support and all the aforementioned points are not device-specific.